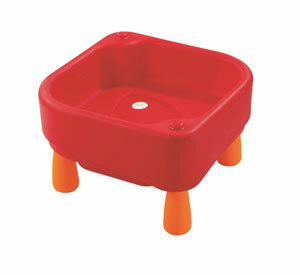 These can be used by 4 or 5 children at once, either indoors or outdoors. Filled with sand or water, it can be closed with a lid. 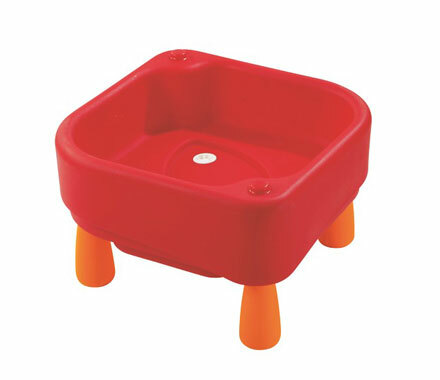 Its square shape means that several trays can be placed next to each other to create activity areas for large numbers of children. Choose between 2 different leg heights, or place directly on the ground. 3 wells, accessible when the tray is closed, for storing away rakes etc... Very Large capacity. Made of plastic. Draining tap. Carrying handle.